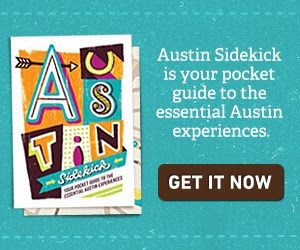 I'm married to a red head and I've learned a few things about them over the years. 1) They don't buy things that are pink. 2) They don't wear bright red lipstick. That said, I love the idea that you would create an entire room based around your look/coloring. It's like you're part of the room/house. I would also love to get my "Personal Color Horoscope," but I'm guessing that little mail away doesn't work anymore. I taught with a woman once who admitted that she chose her carpet color to match the party foods she served most often, so stains wouldn't show, but I've never thought about decorating a whole room around your hair color. 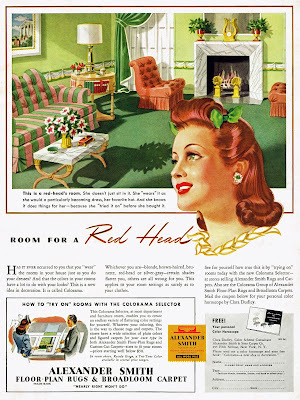 It's not a bad idea though, because the redhead in the ad looks great with that room. Hmm, I guess it just needs to be the right shade of pink. I get more complements when I wear pink than from any other color. My two redhaired daughters look gorgeous in pink. Red lipstick is no no! I'm sure the right shade of pink looks fantastic on most red heads. Or maybe you have to have the right shade of red hair. Maybe it's a mixture of both.